We provide a variety of lamination films, finishes and options. No order to big or small. Our large facility allows us to stock a large assortment of films in various sizes, thickness and finish. No matter how big the job is we can handle it. From 25,000 to 250,000 we have you covered. Ask us about our new packaging films like soft touch that comes in a variety of colors or the new linen and leather textured films that make your print stand out. We also have the metallic films. These films are printable stamp-able and take spot UV and embossing. Looking for a quality and affordable lamination or finishing solution for your next project? Let us help! When it comes to lamination we know our stuff! Designed to protect and preserve your important documents with waterproof finishing, our laminating services are highly recommended to protect all your projects. 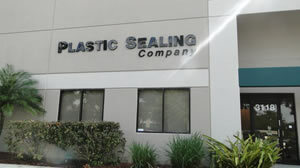 Welcome to the oldest laminating company in Pompano Beach. 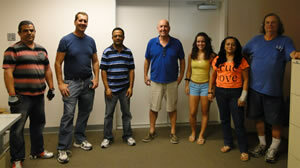 For over 27 years we have offered the Broward and Palm Beach Area outstanding service and above standard workmanship. That's one of the many reasons we've maintained such an outstanding relationship with our customers past, present and future. Let us show you how you can become a customer for life. I Had 52 photographs laminated and mounted. They did an impeccably neat job - not a speck of imperfection. They worked during the weekend to finish the job on time. The are the most professional team, great to deal with and best of all, the lowest price in town. can't praise them enough. It was 3PM on a Friday and we had a presentation at 8PM and needed 20 sets of presentations binded in a hurry.. these guys did it same day and at no extra charge. Very clean job and knoweldgable people. We have a small restaurant in Lake Worth, FL and were using a company online to laminate our menus but it was kinda costly and shipping took forever. Matt gave us a great deal and the turnaround was 2-3 days faster. THANKS AGAIN! Mark got me out of a huge bind today and laminated 130 pages in an hour and a half. Plus, they were extremely reasonable, respectful and considerate. Will always use them going forward. Our promise to our customers is to provide the highest quality laminate and finishing solutions and products that exceed expectation and quality in an affordable and timely manner. Do you have a question, comment or concern? We would love to hear from you! Feel free to contact us by phone or email or just stop on by!